Before you take the leap…take the leap! Jump off Ireland’s longest zipwire! Feel the exhileration of completing our high ropes challenge, get up into the trees, or take part in one of our team challenges. Set at the entrance to the park, the Timber Tumbles Playground a fun adventure play area suitable for children aged 2-14 year-olds. The playground reflects the coal-mining theme of the local area and includes a mini zip-wire, climbing wall, swings and slide. The playground was designed following extensive consultation with local children and incorporates a mining theme to reflect Castlecomer’s rich coal mining heritage e.g. a truck cart, tunnel conveyor belt, amphibian creature etc. The playground uses Robina wood and other natural materials to fit with the wooded setting. The Timber Tumbles Playground is owned and managed by Kilkenny County Council. All children using the playground must be supervised by an adult at all times. The exciting new Junior Woodland Adventure Course was specially designed to encourage small children to become more active and adventurous in a woodland environment. Made of natural materials, traditional rope and Larch wood, it’s a series of low-risk challenges where children balance and steer their way through the course. ISuitable for 3-8 year-olds, and helmets are provided. The hexagonally shaped playhouse and surrounding hut village is a space where children can roam free of charge and play to their heart’s content. The pretty Bluebell colour paint was generously provided by McDonnell paints while the design and construction was completed by local master carpenter Len Brophy. Plans are in place to add some special surprises to inspire creative play and imagination. The playhouse will open for play 12 pm – 4 pm (seasonally). Discover your inner climber by completing the Tree Top Adventure Walk. Walking high above the Sycamore tree tops, 10 metres above the ground, this 140-metre long course gives a birds-eye view of the park to those brave enough to venture up! Perfect for a family adventure, team building, or corporate groups. We encourage you to take the path in the sky! Reach new heights by challenging yourself on our great outdoor climbing wall. We have three climbing routes with varying levels of difficulty for all to enjoy. Visitors to Castlecomer Discovery Park can enjoy leisurely boating activities on the larger of our two picturesque lakes, in our stunning natural woodland setting. The lakes are surrounded by a variety of magnificent trees, and you can admire the backdrop of the beautiful recently restored 17th century stone bridge. Our boating activities give you the chance to sit back, relax and enjoy the beautiful surroundings of our 80-acre woodland. So whether you’re after a fast-paced or leisurely cruise around the lake you can still fit in some exercise while having fun on our Pedal boats and Canadian canoes! Misconduct will result in removal from the lake, no jumping into the water. Three permanent orienteering trails are set up in the woodland to complement the range of recreational activities here at the park. These courses vary in the distance; 1.6km Short, 2.4 km Medium and 3km Long. Each course has a number of codes secured to wooden posts throughout the 80 acres of woodland. The trails can be done at ease or for those that want a challenge can be completed by competing for time. This provides the opportunity for participants to return and do a longer and more advanced trail as an individual, in pairs, or as a team. Participants are shown the answer sheets at the reception desk of the visitor centre on the return of the maps. This is a self-directed activity and can be done 7 days per week from 9.30am – 5 pm – or until 8 pm if you wish to forego deposit and locate all codes so that the answer sheet is unnecessary. Suitable outdoor clothing and footwear are advised. The Coal Mining Exhibition comprises a 45-minute tour through Castlecomers coal mining past. The exhibition is an interactive multi-media display that takes the visitor on a journey through time. Starting with the formation of the coal 300 million years ago, it brings the visitor through more than 300 years of coal mining history to the closure of the mines in 1969. Open daily, last entry 1 hour before Visitor Centre closing time. 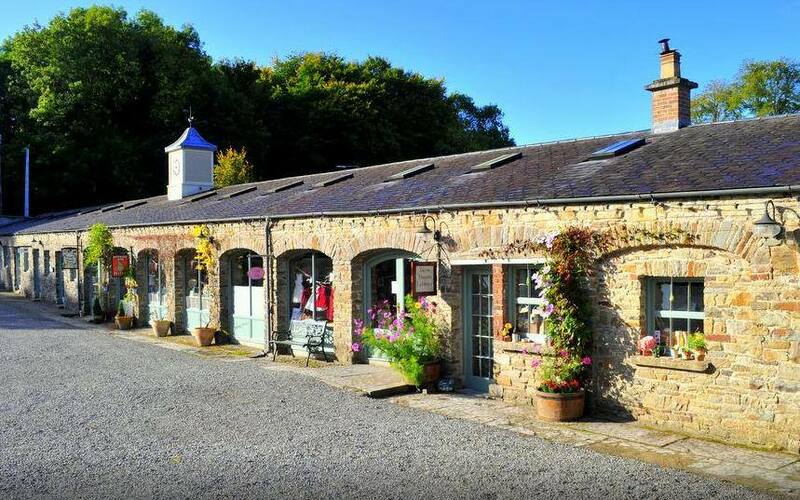 At Castlecomer Discovery Park we believe we have a great story to tell, we’re enthusiastic about sharing our world with you. Our education programmes are fresh, innovative, exciting and strive to make learning fun for all. We offer a wide range of student-centred educational activitiesfor both Primary and Secondary schools as school tours, class visits and fieldtrips. Curriculum-based learning takes place in our extensive 80 acre woodland, by the lakes and river and also indoors in our dedicated education rooms. The Zip of Terror is back - and you can save 15% on tickets bought on YourDaysOut! Operation Transformation is in full swing now, and it's great to see groups all around the country getting out and active. Join us here at the park on Sunday February 4th at 11.00 am for the next walk hosted by Kilkenny Recreation & Sports Partnership.